Its Clementine season! Well at least back in Ontario it is. 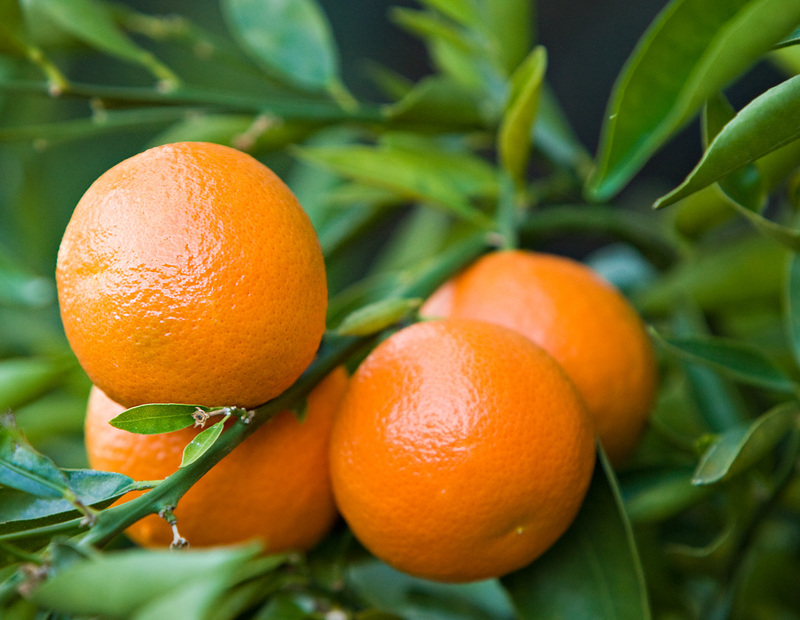 I'm a big fan of citrus fruits and the Clementine (or Algerian Mandarin) is one of my favorites. Kim planted a tree in the front yard earlier in the summer and now its full of fruit. These look like they are just about ready for eating. Technical Specs: Canon 1D3, 70-200 f/2.8 IS @ 180mm, f/4.5, 1/100s, ISO 800. I guess you have clementines all year round in California?